It is a new year and I hope one of your resolutions is to travel more. Many people are international tourists forgetting that Kenya has a lot to offer in terms of leisure and entertainment for the whole family. I have compiled some of the best places to visit in Kenya. This year make a resolution to visit more destinations in Kenya. Here are some of the places you should consider visiting this year. This is located in South Diani. It is a beautiful marine reserve that will tease your senses with its beauty. The reserve was built to protect its coral reefs and gardens, and fish species. There are many activities to keep one occupied including traditional dhow fishing trips, sailing, snorkeling, sailing and non motorized water sports. There is excellent accommodation at The Sands at Chale and the Sands at Nomads. There is a reason why the Maasai Mara has been named one of the new Seven Wonders of the World. This is because of the annual migration of over a million wildebeest from the Serengeti plains to the Mara. The Mara reserve has open plains, woodlands and riverine forest. It is home to many species of wildlife including the Zebra, Elephants, Gazelle, and Buffalo. The rivers have hippos and crocodiles. The annual migration usually takes place in late June to August. Last year some tourists were lucky as the Wildebeest migration happened twice in one year. The wildebeest came back to Kenya at the end of November when there was a drought in the Serengeti. Some great places to stay include Sand River Masai Mara, Ole Moran Tented Camp, Ngerenge, Sarova Hotels and Camps in Mara, and the latest addition to the Mara family Olare Mara Kempinski and Richard Branson’s Mahali Mazuri. 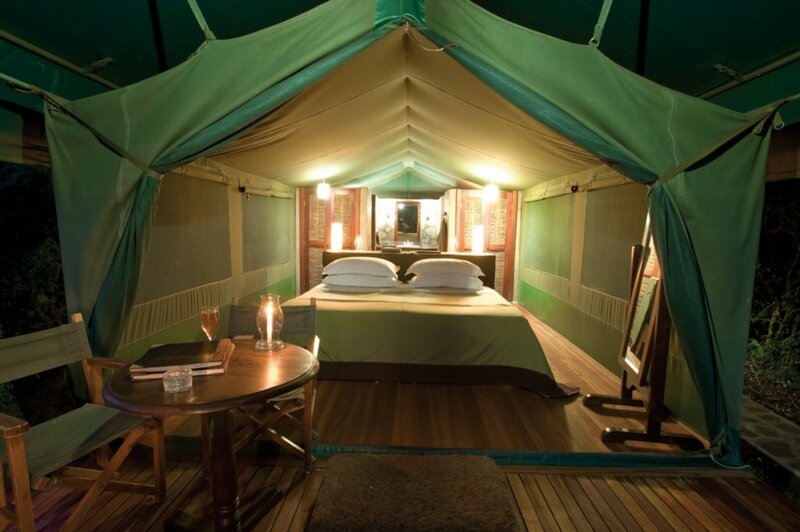 You can also find budget friendly camps in the Mara. Naivasha is a favourite spot for many. Lake Naivasha is a freshwater lake, located in the Rift Valley. Naivasha has many tourist attractions including Lake Navaisha, Hell’s Gate and Longonot. Lake Naivasha as a destination has many activities to offer. It is a great place to take boat trips. Other activities that can be done include rock climbing, biking, hiking. The shore of the lake also has great places to camp if that is your thing. Naivasha is known as a world class birding destination because it has very many species of birds both in the lake and the forest that surrounds park of the lake. An attraction that people don’t know about is the Crescent Island Park. It is a heaven for birdwatchers as it has abundant bird-life. Apparently there are more animals per acre then in any other Kenyan park which makes it a great place to go on holiday. There are Wildebeest, Hippos, Giraffe, Zebras, Gazelles and Waterbucks. Crescent Island park is a privately owned park and it is accessible by road and by boat. Lake Elementaita is an eye catching lake with its pink coloured islands and shorelines. 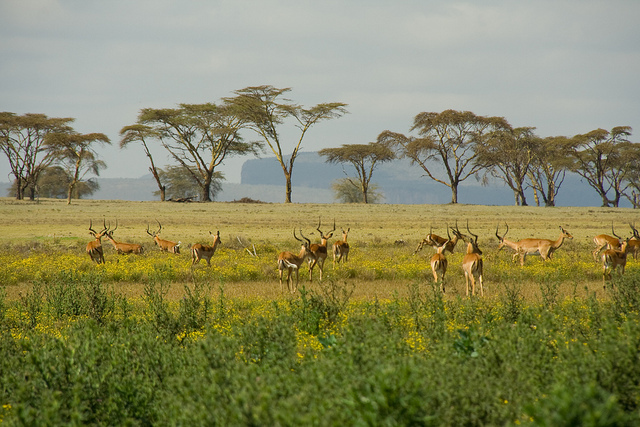 There are Gazelles and Zebras to be seen grazing on the open plains. The soda lake is now a wildlife sanctuary. There is a museum, Kariandusi Museum, an important prehistoric site. Elementeita Badlands, a lava flow is also another attraction. Watamu is a well kept secret south of Malindi. It has very clean white beaches and has offshore coral formations arranged in three bays. These are Watamu Bay, Blue Lagoon and Turtle Bay. These three are part of the Watamu Marine National Park. Watamu is a great place to go on holiday especially for groups and honeymooners. For those who like snorkeling and diving the Marine National Park is a paradise. The marine park is among the best snorkeling and diving areas in East Africa. There are also other beautiful places to visit including Marafa Depression – Hell’s Kitchen, the Arabuko Sokoke Forest, and the lost town of Gedi. Some great hotels to stay at include Turtle Bay Beach Resort (recommended for large groups) and Hemingways Beach Resort. Rusinga Island is a beautiful, hidden gem in the middle of Lake Victoria. The only way to get there is by ferry. This is a perfect place to relax. There are two islands close by, the Mbasa and Mholo islands which you can explore. They have thousands of birds which are an awesome sight to see. Rusinga Island now has the Rusinga cultural festival that you should check out. Some of the things you can do include night fishing, taking boat rides, biking and hiking. There is a wellness spa at Rusinga Lodge for those who want to relax and get pampered. You can also visit the palaeontology site discovered by Palaeontologists Louis and Mary Leakey. There is swimming at the Rusinga Lodge, and excursions to Ruma National Park can also be arranged. Rusinga Island Lodge is the place to stay on this beautiful island. …crescent Island Naivasha; I agree I was there last December…the island is a beauty to walk around; lots of animals. The lady owner is also very friendly and takes care of the animals; the views of the lake and hills..awesome…oh and you should see the sunset!